Episodes of religious and political intolerance are growing in the country. The bishop launches slogan 'We are Different, We are Indonesia' and the image of Our Lady of All Ethnicities. The Indonesian Church is engaged in numerous initiatives and projects aimed at promoting and guaranteeing the national value ​​of pluralism. Jakarta (AsiaNews) – The archdiocese of Jakarta has welcomed 2018 as the Year of Unity with a recently released pastoral letter. 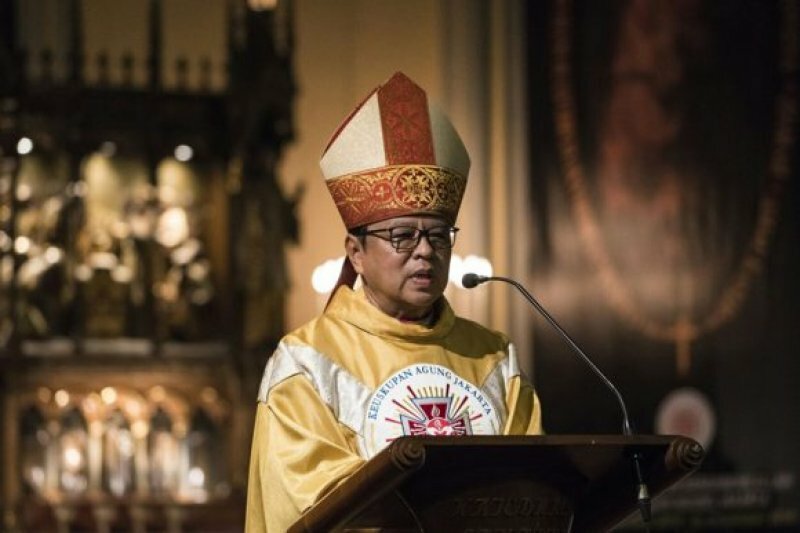 In it, Jakarta Archbishop Mgr Ignatius Suharyo Hardjoatmodjo (picture 1) appeals for national unity to counter the growing religious and political divisions in the most populous Islamic country in the world. "In 2018, we want to deepen our understanding of the third principle of the state philosophy – national unity – as embodied in the motto 'We are different, We are Indonesia'," says the letter, which was read in all the parishes of the archdiocese during Saturday and Sunday services. Episodes of religious intolerance are on the increase in Indonesia. Radical movements, which exploit the religious sentiment of the population for their own interests, are gaining more ground in the political life of the nation. 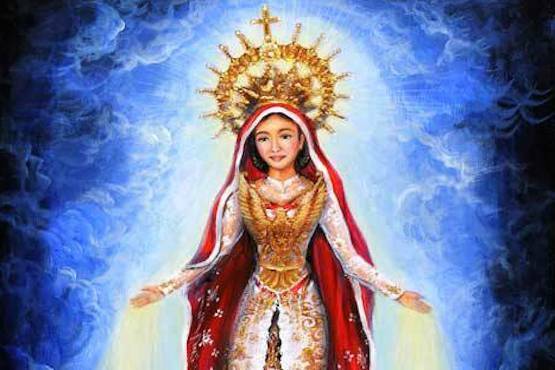 Renewing the Catholic Church’s commitment to dialogue and peaceful coexistence between the various religious confessions, Mgr Suharyo offers the image of Our Lady of All Ethnicities (picture 2) as a symbol of national unity. 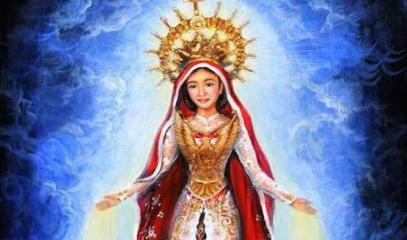 On the Virgin's upper body, one can see the Garuda Pancasila, the country’s national emblem, whilst the head is adorned with a white and red veil, the colours of the Indonesian flag. A map of the country is on the crown. "We hope that the image will make us understand that brotherhood, unity and harmony within the Church and society are God's blessings that we must continue to ask in our prayers and be realised in our efforts", the archbishop says. 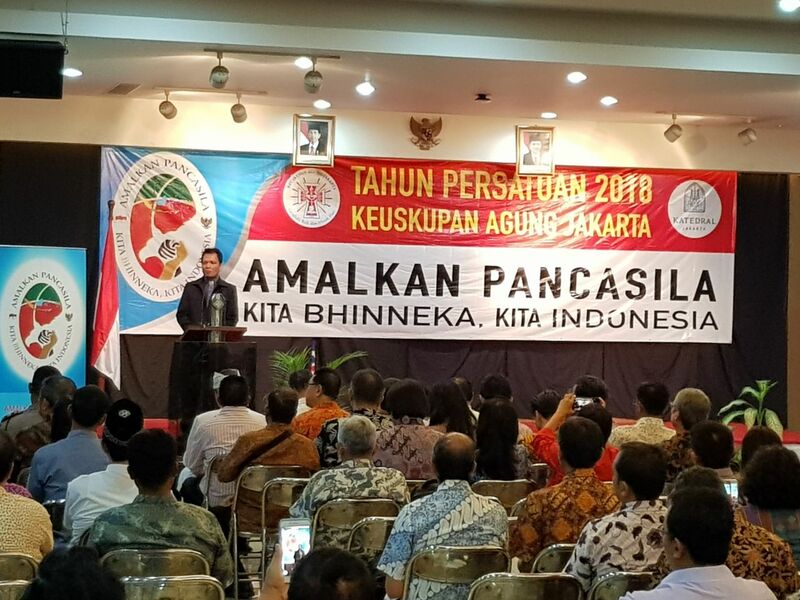 The Indonesian Church has always been active in initiatives and projects aimed at promoting and guaranteeing the national value ​​of pluralism, expressed in the Pancasila philosophical and political doctrine. 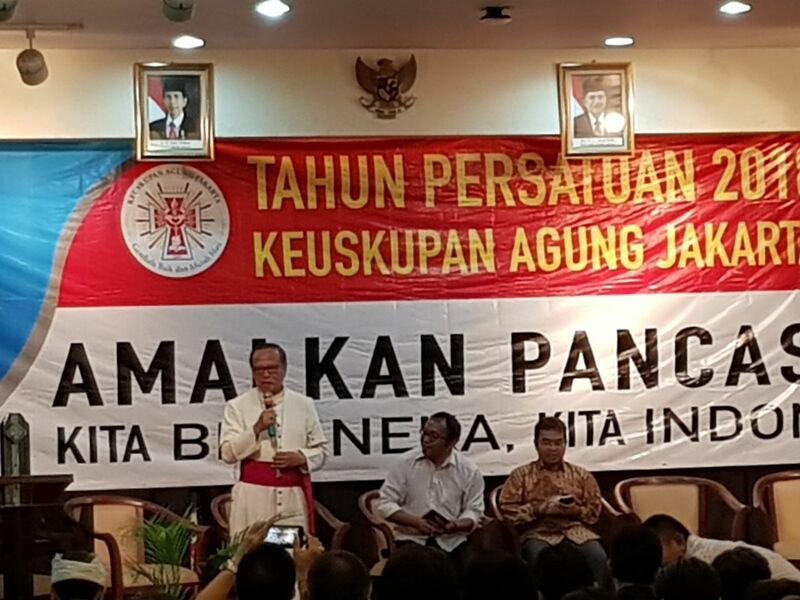 The Catholic Bishops’ Conference of Indonesia (KWI) has repeatedly highlighted the important role played by the Catholic Church in the process of national unity and has urged Catholics to establish deeper relations with communities and representatives of other religions. 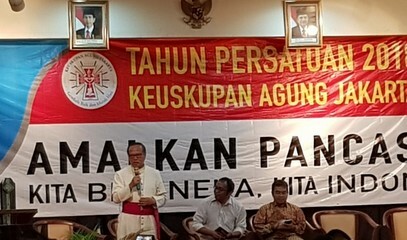 The archdiocese of Jakarta has also dedicated its work plan for the four-year period of 2016-2020 to the founding principles of the Indonesian State, Mgr Suharyo notes. The goal is Amalkan Pancasila, i.e. 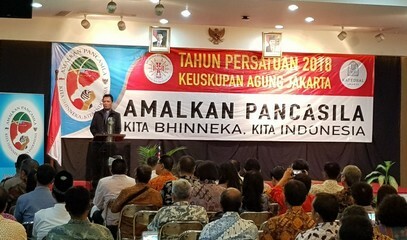 ‘putting into practice the spirit of Pancasila’ (pictures 3 and 4).